Welcome to the World of Credit Cards! A credit card can be defined as a payment card that is usually issued to the users as a system of payment. It helps one to pay for goods and services based on holder’s agreement to pay for the goods. The issuer of the card creates a revolving account and gives a line of credit to the user from which the user can now borrow money for payments to a merchant or from other financial institutions. Credit cards have become more common in the recent years, with many people opting for plastic money due to the benefit that comes with it. This article will discuss more about credit cards so that you can be able to understand the logic behind it. 1. Do you know that the most expensive card to have at the moment is the blank centurion card? The card is offered by American express and it carries an annual fee of $2,500, and you are required to spend $250,000 per year. 2. VISA was originally introduced in 1958 by the bank of America. In 1970, an association was formed to comprise all banks in the US that agreed to issue this card. The card was named VISA card in 1976. 3. Discover card was introduced in 1985 by sears. It gained tremendous popularity due to the fact that it did not charge anything. You can read actual infotmations about sears credit card services in our article. 4. Ever asked you why banks keep minimum payments so low? Well, it is because low payment rate allows cardholders carry forward more and more debt. Naturally, banks charge more interests and fees. 5. Most of card issuers forbid their vendors from asking for more details such as address, phone number, and other personal details from a card holder for these cards transactions. 6. Have you ever known that the shape and size of all cards are the same? Well, now you know. This is because all the dimensions are governed by ISO 7810, which is an international standard. 7. 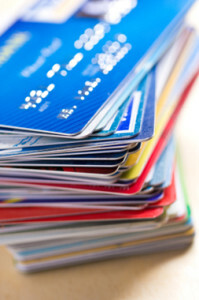 In some states, it is against the law to charge surcharge for a card purchase. As a result of this, most of the vendors do not allow card holders to use surcharge. 8. There exists a card holder agreement for each and every card in the market. However, you do not need to sign anything whenever you use your card. Even after a card issuer updates an agreement, you automatically agree to the terms of service the moment you use the card. 9. Card issuers can never send you a card that you did not apply for. You can even file for a complaint if they send you what you did not apply for. 10. There is less meaning to the expiry date on the card. You can even use your card even after the expiry date. This is because the new card carries the same number. 1. Promotional features- these features include; banking discounts, rewards, and insurances. These features are mostly offered as a feature. 2. Credit limit-credit card capability is issued with a credit limit which is determined by a business or individual’s card ability to generate income. 3. Daily transactions-this feature lets you make unlimited transactions as long as you are within the credit limit. 4. ATM cash withdrawals- majority of financial institutions limits the amount that can be withdrawn from an ATM. 5. Balance transfers-if you are running a business, business credit card allows you an outstanding balance transfer from one financial institution to another. 6. Monthly installments-every card holder can receive a detailed monthly installment. This is an awesome way to keep track of your expenditure. 7. Card fees-All card issuers have penalties and additional charges for late payments or when one exceeds the card’s credit limit. 8. Online shopping-Cards offer a convenient online shopping opportunity. You can buy everything online. 9. Credit profile-card’s management contributes to holder’s credit score, which is very important as one can be able to borrow from other financial institutions. 10. Plastic money-with a card, you do not have to carry cash with you. You can purchase whatever you want. 11. Expense management control-reports- most financial institutions offer this feature, which separates services and good tax amounts. Management control reports can be imported to accounting programs. Convenient to shop-with a card, you can purchase goods everywhere. If you want to purchase goods over the counter there are numerous shops that accept cards. Also, some online stores accept cards for payments. If you are in a foreign country, you do not have to worry about local currency; you can simply shop with a credit card. Build credit history- with a card you can build a credit rating, if you use it wisely. This is because if you manage your credit card properly, you will have a good credit crating and that may be of great help in future. For example you can easily secure a loan from many financial institutions . You can read about many types of loans here. For example review of chase personal loans. Security-compared to carry a bunch of money when going to make a purchase, it is safer when you have plastic money. This is because if you lose your cash, you cannot get it back, but if you happen to lose a card, you can apply for another one in a few days. Balance transfer with a card, you can transfer the balance from a card with high interest rate to one with 0% APR. There are numerous companies offering 0% APR for the first 6 to 12 months. Expenditure record keeping- you can get a spending statement at the end of the month if you use a card. Therefore, you do not have to keep your daily records. 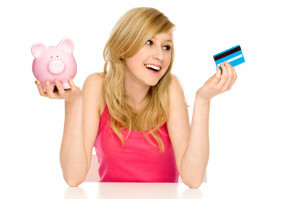 Credit cards also helps in keeping you under limit since you cannot spend or borrow beyond your card’s credit. Fraud-some people have been swindled by giving credit card numbers to con-men over the phone. High interest rates-in most cases, these credit cards ends up charging you more from their monthly installments as you pay for goods and services. A credit card is the best thing to have in this digital environment. However, it should be used responsively, making informed and wise transactions. Get one today and experience what credit cards has to offer!